The spring season and warmer weather always creates opportunities for celebration. Whether it’s dinner outside, weddings, baby or bridal showers, or simply sitting in your favorite chair on the porch with a good book, there’s something about nice weather that brings out the best in everything. For us, a glass of wine is always the perfect addition to top off these special moments. For events and relaxing moments alike, we are loving our 2017 Riesling. Why should you add this vintage to your next shindig or simply your fridge? Check out our top 5 reasons why it’s the perfect addition below. It makes your palette happy. Our medium dry/sweet Riesling contains 100% Finger Lakes Riesling. This Riesling opens with a citrus blossom bouquet and boasts lemon flavors lingering over a muted mineral finish. There’s nothing over powering about it. Everyone will love it! It’s versatile and pairs well with nearly any dish. Our favorite Riesling companions include chicken, pork, white fish, or take out Thai food. Speaking of wine pairings, it goes best with NY Aged Cheddar. NY aged cheddar is affordable and a crowd pleaser. Serve it along with your favorite butter crackers and you have a match made in heaven! It’s refreshing. When it’s hot out you need something that’s going to keep you feeling good. Thanks to our Riesling’s citrus bouquet, it’s refreshing on its own or you can add to seltzer and ice for a nice wine spritzer. It’s reflects the Finger Lakes Region in all it’s glory. 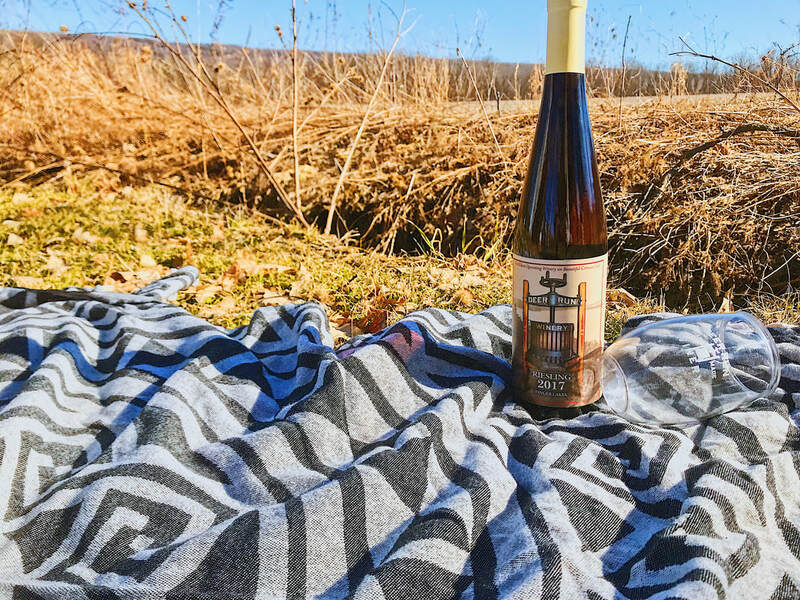 As of recent years, Riesling has become the signature wine of the Finger Lakes and if you’re looking to add that local vibe to your next party, this is the perfect representation of everything good in our region. First brought to the area in the 1950s, Riesling reflects it region and vineyard better than any grape varietal. We can certainly go on and on about why we love Riesling, but would rather you try it for yourself! Stop by our tasting room next time you’re in the area, order online or pick up one of our bottles at a liquor store near you. Want to talk more about events? Hold your upcoming event at Deer Run Winery and take advantage of our 2019 summer event special for just $20 per person. Email us at events@deerrunwinery.com or call us today at 585-346-0850 to learn more. 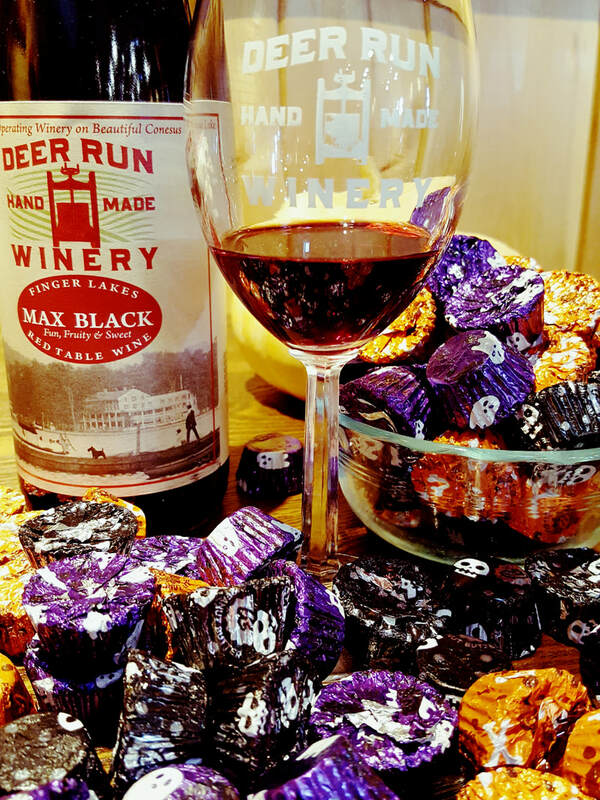 Deer Run's Cabernet Franc wins a Double Gold! The results are in for the 2019 Finger Lakes International Wine Competition. Winemaker, Scott Kuyon, was eager to see how his wines placed and we are all pleased to announce that they did very well. 2016 Cabernet Franc - Double Gold!! We are incredibly honored to have won these awards and will continue to do our best to make great tasting Finger Lakes wines for you to enjoy at your table. Cheers!! Two seats available for Saturday's Murder Mystery Dinner! We received a cancellation and have 2 seats available for Saturday March 02, 2019's Murder Mystery Dinner Theater. Seats are also still available for The Not Too Far From Home Comedy Dinner next Saturday on March 09th as well! If you are interested in attending either of these events, click on the link below! Saturday July 06, 2019 6:00 pm - 9:00 pm Tickets include a keepsake tasting glass, entry into the tasting tent for food and drink samples from more than 20 NY craft producers, and live music by Midlife Crisis. Afterwards, guests will receive a cookie and wine flight pairing, hand scrub treatment and hand massage. Each guest will be given a take home gift bag from Lemongrass Spa including a hand scrub and lotion. A 4.5 hour guided culinary and craft beverage tour highlighting food and beverage producers around Conesus Lake, the westernmost Finger Lake. 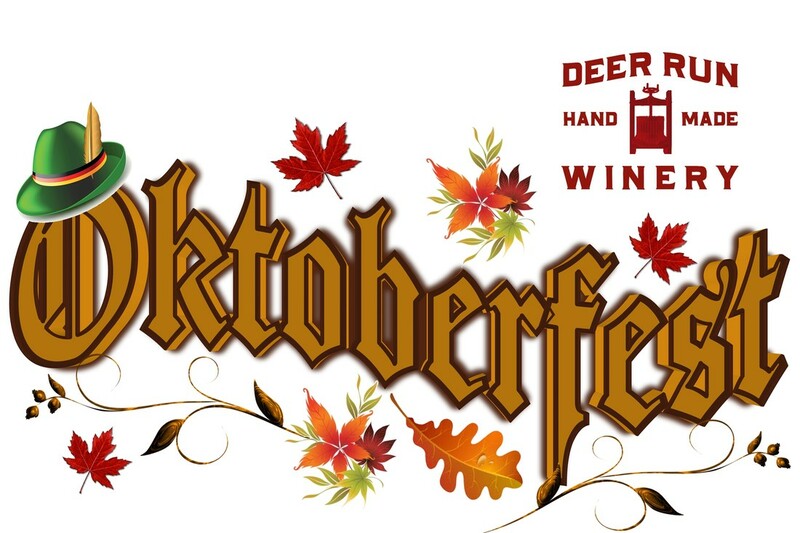 Meet at Deer Run Winery at 10:30 am for your first sampling before the bus departs at 11:00 am. Includes food and/or beverage samples at 4 different locations. Ride in style on a 26-passenger, air conditioned, wi-fi and restroom equipped bus so that you can enjoy the fun without worry! 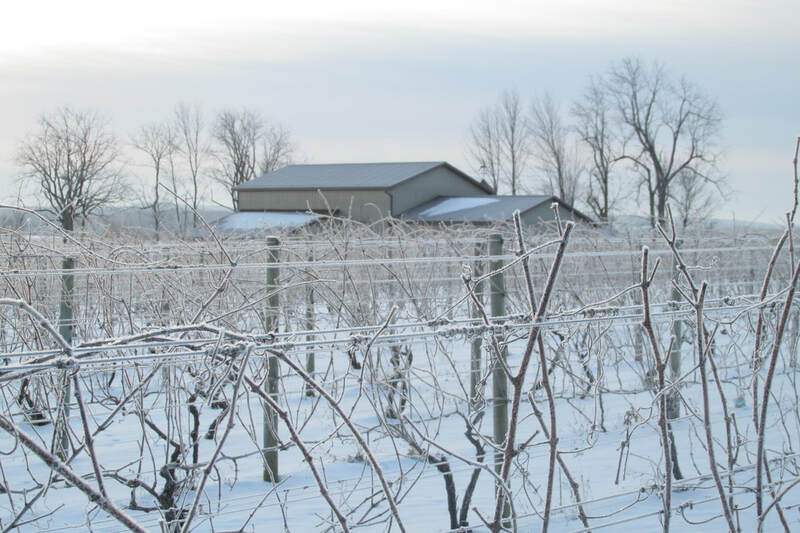 Due to the Winter Storm Warning in effect, Deer Run Winery will be closing early today at 2:00 pm and will remained closed through Sunday, reopening for business on Monday at 12:00 pm. Stay warm and drive safely! Your Monday just got a bit brighter! Take advantage of savings on wine shipments tomorrow as Deer Run Winery celebrates Cyber Monday! Make an online purchase totaling $75.00 or more of Deer Run wine Monday November 26, 2018 and receive FREE SHIPPING on your order! Shipping discount will automatically be applied upon check out. Deer Run Winery ships to 30 states, please check that your state allows shipments before placing your order. Participating states listed on the link below. Also, this Cyber Monday only we will feature a FLASH SALE on Candlelight Night reservations! Save 15% on your Candlelight Night reservations when you use Coupon Code: 15CNDL. ​Candlelight Night dates and menus listed on the link below. The unofficial end of summer is upon us and this upcoming weekend is bringing with it beautiful weather and some amazing events for you to add to your calendar! Note: There is an option to purchase the tasting only for those of you will be bringing your own kayak! What you will get: A Five course wine pairing dinner served in our beautiful vineyard at sunset. Note: Those in attendance will be the first to taste the 2016 Reserve Noiret, specially released for this dinner. It is going to be a gorgeous weekend to be outdoors and we hope to see you at one or more of our special events! Cheers!! "Wine at the Lake" Paint & Sip tomorrow! Looking for something fun and different to do tomorrow evening?! Deer Run Winery and Abandoned Palette Studios will be hosting a Paint & Sip class Friday July 20th from 6:30 - 8:30 pm. Your reservation includes everything you will need to create the painting shown, guided instruction from Abandoned Palette Studios and a glass of Deer Run wine of your choice!